We Focus On Putting Your Family First! At Hudsonville Dental, our dentists in Allendale, MI have always been dedicated to helping patients get the quality dental care they need to maintain healthy, confident smiles. Our Allendale cosmetic dentists understand that looking for a new dentist can be frustrating, but it doesn’t have to be when you choose Hudsonville Dental. 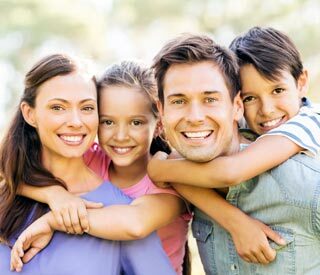 Our Allendale dentists offer a range of dental services in Allendale MI to help you maintain a beautiful healthy smile. Whether you need to schedule your child’s first dentist appointment or learn how aging affects oral health, you can count on the expertise of our entire dental staff. We treat patients of all ages. Our dentists near Allendale, MI are dedicated to helping you achieve your best smile by offering quality dental services. To schedule your appointment with one of our Allendale dentists, call Hudsonville Dental at (616) 209-4024. We know you have many choices when choosing a Dentist near Allendale, MI so we have made requesting an appointment a simple process via our Website. If, for any reason you cannot keep a scheduled appointment, or will be delayed, please call us as soon as possible. Find a new dentist can be difficult! To help you make an informed decision, our doctors wrote this FREE guide. The guide lists 10 things that separate an average dental office from an extraordinary one! The Latest In Dental News! 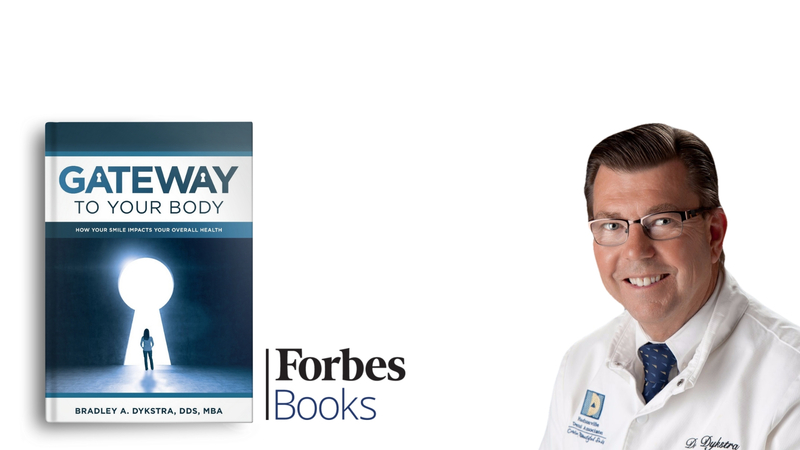 In Gateway to Your Body: How Your Smile Impacts Your Overall Health, you will learn how Dr. Dykstra has set Allendale Dental apart from the rest in terms of patient care, quality of service, and community engagement. In addition, you will also learn how to best care for your own dental health at every stage of your life and gather helpful information for addressing common dental ailments. 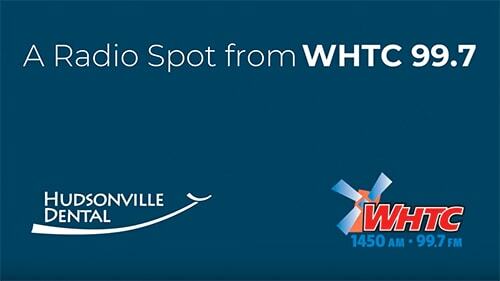 Listen to our radio spot about healthy dental habits for your kids. Dr. Dykstra shares 8 helpful tips to promote your child’s oral health & overall health. 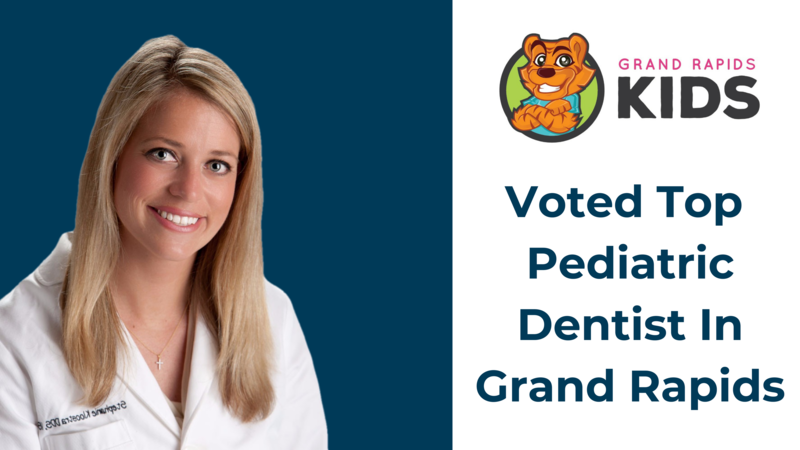 We are pleased to announce that Dr. Kloostra was recognized as the “Top Pediatric Dentist In Grand Rapids” of 2017 by GRkids.com. "Excellent Dentistry and Staff! From the very first time I walked in the office, I knew I was in great care. I felt extremely welcomed by the front office staff!" To request appointment availability, please click the button below. Our scheduling coordinator will contact you to confirm your appointment. 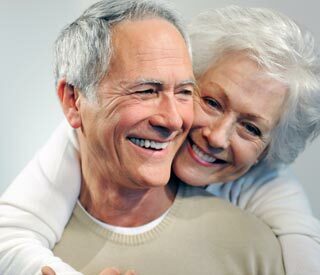 Are Our Dentists Right for You? Love coming to this office. From the moment you walk in the door, they make sure to engage with you as a person and not just a number. The staff are always so upbeat and polite. I had an awesome experience for someone who hates the dentist, well not anymore, everyone was so pleasant and kind and explained things very thoroughly. Thanks guys. Very friendly and informative staff. The atmosphere is very clean and inviting. It's a great place to bring your family. The entire staff is super nice. All smiles from the beginning to the end. I love going here because every staff member treat you like you matter. Overall a staff of greatness! I don't generally look forward to teeth cleaning, but Samantha makes it almost enjoyable. She's very personable and does a great job. See you in October! Copyright © | Hudsonville Dental | All Rights Reserved. Disclaimer: This website is provided for information and education purposes only. No doctor/patient relationship is established by your use of this website. No diagnosis or treatment is being provided. The information contained here should be used in consultation with a doctor of your choice. No guarantees or warranties are made regarding any of the information contained within this website. This website is not intended to offer specific medical, dental or surgical advice to anyone. Further, this website and Hudsonville Dental take no responsibility for websites hyper-linked to or from this website and such hyperlinking does not imply any relationships or endorsements of the linked websites.